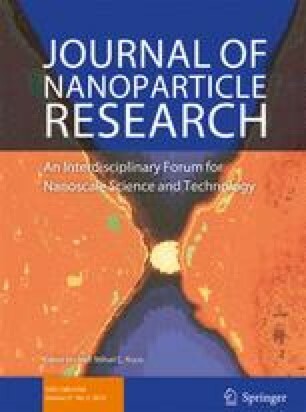 In the present work, the effect of the incorporation of polyacrylic acid (PAA)–coated magnetic nanoparticles (MNPs) on the performance of polyvinyl alcohol (PVA)–based hydrogels for water remediation was studied. Ferrogels from PVA and PAA-coated MNPs were prepared through the ecocompatible freezing–thawing physical cross-linking method, and then they were completely characterized. Two different lab-made PAA-coated iron oxide MNPs, characterized in a previous work, were prepared by coprecipitation method from two different low PAA molecular weights, Mw 1800 g/mol and 5000 g/mol. The effect of MNP content and the PAA Mw on ferrogel final properties was determined. In addition, adsorption of methylene blue (MB) and cadmium (Cd+2) was carried out to analyze the possible application of the developed materials as environmental remediation devices. The capture of a ferrogel by an external field occurs due to the force that the field gradient exerts on single magnetic particles, which is then transferred onto the polymer matrix. This force was measured as a function of the distance to a permanent magnet, and the condition to magnetically recover the sample was established. The results obtained demonstrated that the ferrogels presented in this work are able to adsorb heavy metals and then be magnetically separated. The authors acknowledge the collaborations made by Dra. Romina P. Ollier and Dra. M. Fernanda Horst. This study received funding from CONICET (PIP00617), Universidad Nacional de Mar del Plata, Universidad Nacional de La Plata (X807), ANPCyT (PICT 2014-3228 and PICT 2016-1905) and Fundación Bunge & Born.